By Mike March 18, 2015 March 17, 2015 News, Promote Yourself! AninetworkFest is an international competition and online platform that serves to support the animated short films and their creators. It should also be a place where community of creative people that producing these films meet. On the other hand, then the place for people who enjoy watching of these films and that are fans of this kind of art. 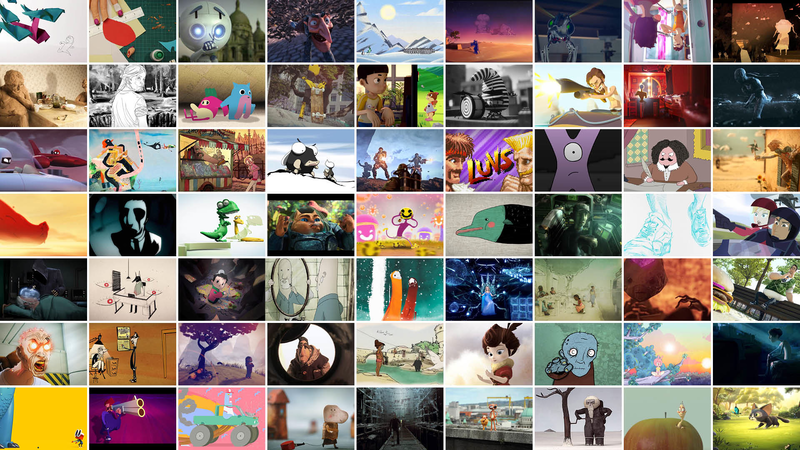 The top 20 short animated films will compete in this competition. You can watch and evaluate them during the festival. After the end of the festival the films will be placed freely to watch in our database. Zurich – March 12, 2015 – Viewster (http://www.viewster.com/), the only online video service with its own global film festival, is launching the latest edition of the Viewster Online Film Fest #VOFF5: Animated Worlds (12 – 26 March), with films that bring to life some of the finest animated worlds – from far-off galaxies to worlds within our heads (the trailer can be viewed here). The festival has been fully curated and has a new jury of leading industry talent, who have been recognised by the likes of BAFTA and the Emmys. #VOFF5 is the world’s largest online showcase of animation content, with the hand-picked festival selection covering the best global talent, from students to award-winners. There are over 140 short films from 37 countries, all of which have been selected on the merits of production quality and for their imaginative scope. The films comprise of various animation methods across 2D, 3D, CGI, Stop-Motion and Cel Animation. Each film in #VOFF5: Animated Worlds is listed in the festival catalogue, available to view online http://festival.viewster.com. The festival winners will get a share of the $50,000 USD prize fund, making #VOFF5 the biggest prize fund in the world to reward purely animation talent. The final films will be chosen by the jury from the shortlist, following the public voting period when fans will watch, discuss, share and vote for their favourite entries. Viewster (www.viewster.com) is a worldwide online video service connecting passionate audiences. We are the first stop destination for anime lovers, featuring an ever-growing line up of the latest shows directly from Japan. Our wider catalogue brings the best of specialist shows and movies, with more than ten thousand titles across anime, thriller, sci-fi, and fantasy. Viewster is free, supported by advertising and available to stream on desktop, mobile and smart TV apps. The Viewster Online Film Fest brings millions of visitors together with the creators. Each festival we feature the best up and coming filmmakers and invite our online community to help select the finalists. But we don’t stop there. We believe so much in fan culture, that we have created a global platform for fans to interact with each other, and we invite anime enthusiasts to join our translation community to create subtitles on a professional level. Meet with us – both online and at international conventions throughout the year. Viewster, and its network of partner sites, serves an 18-24 year old audience of more than 20 million unique users per month across the U.S., U.K., Germany and Australia alone – the ideal advertising platform for all brands looking to bring cool stuff to awesome people. For more information, please visit: http://corp.viewster.com.